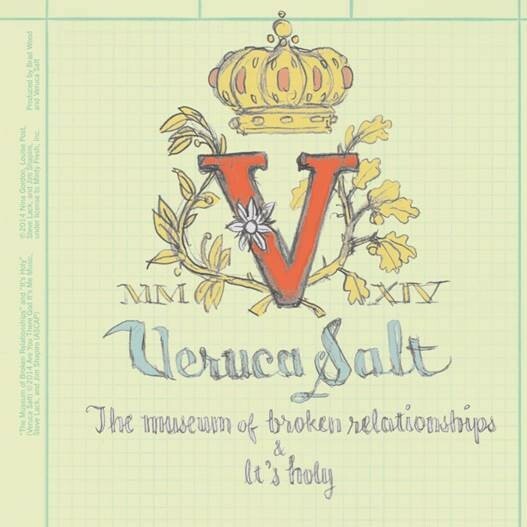 In their brief time as a unit, the Nina Gordon/Louise Post iteration of Veruca Salt was both a target of scenester derision and highly, highly dysfunctional, but most importantly, they wrote some great songs. They released two very good albums and one very good EP between 1994 – 1997, and in 1998 Gordon quit the band amid Fleetwood Mac-level drama, the details of which remain totally unclear to this day. Gordon went on to make a couple albums of Aimee Mann-lite songwriter pop, while Post carried on with an altered version of Veruca Salt, releasing two EPs and two LPs of sub-Hole angst rock. But last year, the original Veruca Salt lineup reunited — Gordon, Post, Steve Lack, and Jim Shapiro — and they’re now set to release their first new material since 1998’s Eight Arms To Hold You. However, they haven’t just gotten the band back together; the new music was recorded with Brad Wood (who produced Veruca Salt’s 1994 debut, American Thighs) and it will be released on Minty Fresh Records, the Chicago-based indie label that initially released Veruca Salt’s very first record, the “Seether”/”All Hail Me” 7″. Why, the reunited Veruca Salt is so committed to recreating the experience of Veruca Salt circa ’94 that their forthcoming release — a 10″ Record Store Day exclusive — actually features “Seether” on the A-side! The new songs, “The Museum Of Broken Relationships” and “It’s Holy” appear on the flip. The 10″ is out 4/19 via Minty Fresh, presumably foreshadowing a new LP (or at least tour) at some point.